It’s a rather common thing in MMORPGs for each region of the game world to have a different color palette. That’s something which I’ve wanted to do for a long time, but never really got around to implementing until now. Here’s a view of several empty regions (viewed from about 8 kilometers above). They’re all using exactly the same “grassy field” terrain, but it appears differently in each due to the region’s characteristic tints. 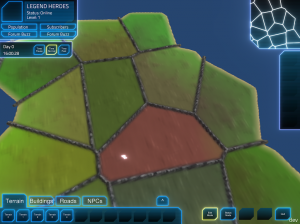 Right now, those tints are randomly determined when the world is generated. 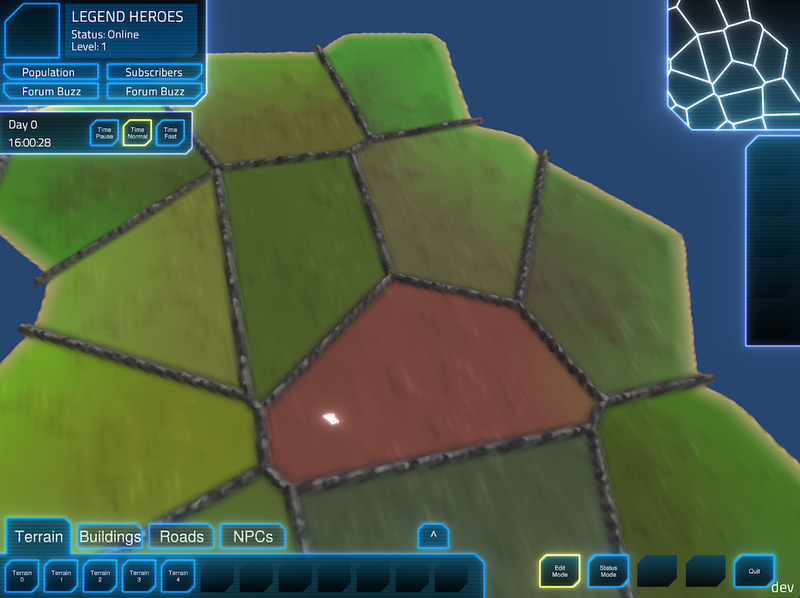 In the end, though, those (along with the sky colors) will be adjustable by the player. 28 December, 2013 in Full Games, MMORPG Tycoon.